Dr. Luíza Mirpuri, Medical advisor at the Mirpuri Foundation, was one of the key speakers invited to take part today in the panel discussion of the last Ocean Summit of the Volvo Ocean Race 2017-2018. As the session focused on the Ocean Impacts on Human Health, Dr.Luíza presented “The Perils of Plastic”, raising awareness once again to the harmful effects of micro and nanoplastic on the human body. Paulo Mirpuri, President of Mirpuri Foundation, said: “It has been an extraordinary Ocean Summit and we were delighted to learn about other interesting projects that perfectly complement the Mirpuri Foundation’s work on the perils of plastic and its effects on human health. 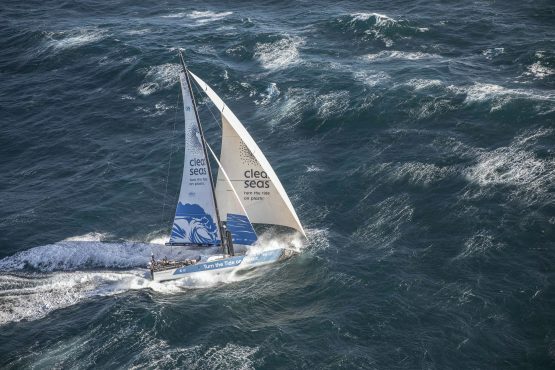 It was with great pleasure that we heard that the Ocean Summits will continue beyond the racing cycle and this is an important legacy left by the Volvo Ocean Race. 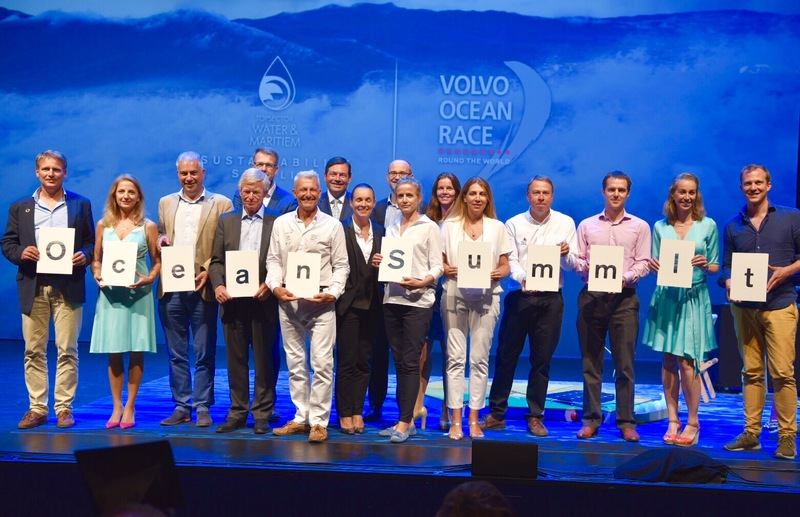 A range of announcements, during the two-day event, set a course for a healthier future for our oceans and the Volvo Ocean Race Sustainability Programme revealed its post-race plans. • World Sailing launched the World Sailing Trust, a new global charity, chaired by Dee Caffari, that will promote the health of oceans and grow participation of the sport to protect its future, reinforcing the legacy of the race. • Alongside the Province of Zuid Hollande, the city of The Hague signed up to the UN Environment #CleanSeas campaign and set out a plan to make all plastic products recyclable. • World Ocean Council, an ocean industry leadership alliance, revealed the formation of a cross-sectoral business coalition to address land-based sources of marine pollution with a focus on microplastic. To build upon the programme’s significant sustainability achievements so far and to deliver global impact, it will take the sustainability practices to the next level during the 2021/22 event. Meanwhile, in the run up to the next edition, the programme will continue to organise a range of international Ocean Summits, further expand the Education Programme and continue to pioneer a Scientific Programme focussing on ocean plastic for a sustainable future. In order to meet these objectives, it will continue to collaborate with a range of innovative partners, including 11th Hour Racing and UN Environment, to help deliver a lasting legacy and drive real change for a healthy planet. 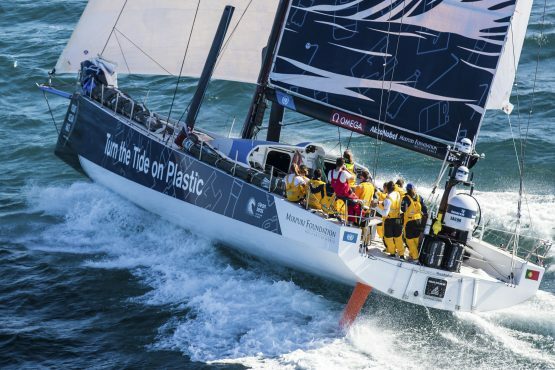 Jeremy Pochman, 11th Hour Racing Co-Founder and Strategic Director, said: “The impact of our partnership with the Volvo Ocean Race has been truly remarkable, and we are honoured and inspired by this journey. It’s been really rewarding to see our partnership with the race and the other sustainability partners grow stronger throughout each of the stopovers. During The Hague Ocean Summit, HRH Princess Laurentien Of The Netherlands, director of Fauna and Flora International, spoke about the need to stop plastic pollution and how educating children is imperative to finding solutions to the plastic crisis. Volvo Ocean Race sailors Liz Wardley and Nicolai Sehested talked about their role as sailors turned scientists as part of the Volvo Ocean Race Science Programme. On stage, Dee Caffari, Turn the Tide on Plastic, Annemieke Bos, Sun Hung Kai/Scallywag, Mark Towill, Vestas 11th Hour Racing, Simeon Tienpoint, Team AkzoNobel, Xabi Fernandez, Team Mapfre and Carolijn Brouwer, Donfeng Race Team, reflected on the race and how we can improve the health of our oceans. Karmenu Vella. EU Commissioner Environment, Maritime Affairs and Fisheries and talked about the EU proposal to ban single-use plastics whilst Cora van Nieuwenhuizen, Dutch Minister of Infrastructure and Water, spoke about the Netherlands ambitions to have a circular economy by 2050. Lewis Perkins, President Cradle to Cradle Products Innovation Institute and Wendy Schmidt, President of The Schmidt Family Foundation, co-founder of Schmidt Ocean Institute discussed the role their initiatives are playing in shifting the relationship a range of key stakeholders have with plastic. Break out sessions explored renewable energy, zero emission shipping, the circular economy and ocean management. The seven Ocean Summits in Alicante, Cape Town, Hong Kong, Newport, Cardiff, Gothenburg and The Hague, have already resulted in governments, businesses and a range of ocean advocates leading by example, making solid commitments to help stop the ubiquitous spread of plastic in our seas. The event was moderated by Paul Rose and dynamized by a buzzmaster system through which the audience could comment, vote or ask questions. Dr.Luíza Mirpuri and Dr. Ivone Mirpuri, from the Mirpuri Foundation, were key lecturers at the scientific workshop that followed The Hague Ocean Summit of the Volvo Ocean Race. As the regatta reached its end, the Doctors joined other worldwide experts for a workshop on micro and nano-plastic pollution. The event exposed the latest findings of the research on the subject and allowed to not only identify the gaps to fill but also to align the mission of fighting for a cleaner planet in a collaborative approach.